Official reports said around 125 gram panchayats and 367 villages in Ganjam district have been very seriously affected. 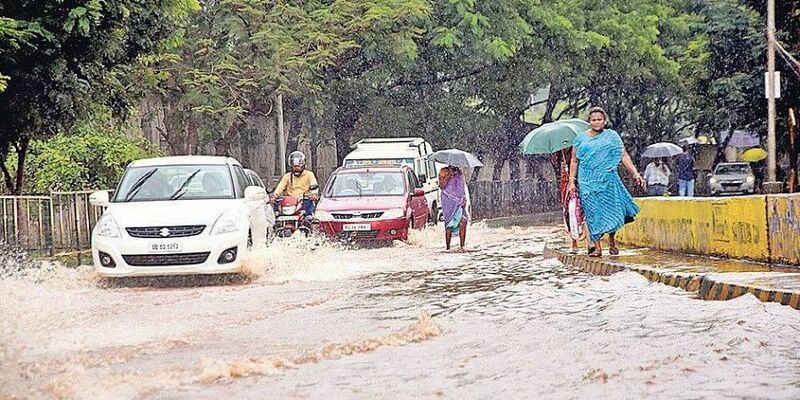 BHUBANESWAR: After cyclone ‘Titli’ ripped through the State leaving behind a trail of devastation, a large number of people in the affected districts are living in the dark since Wednesday due to power failure. The administration is still busy in the compilation of data on the extent of damage caused to the power supply system in the cyclone-hit districts of Ganjam and Gajapati, which were in the eye of the storm and worst affected. “Restoration of power supply is being done on ‘emergency mode’. Out of around 5.5 lakh affected consumers of Ganjam district, power supply has been restored to around 3 lakh consumers,” Energy Secretary Hemant Sharma told a review meeting chaired by Chief Secretary AP Padhi. Sharma said power supply to other consumers in Ganjam district, except Aska and Purusottampur blocks, would be resorted within 48 hours. Official reports said around 125 gram panchayats and 367 villages in Ganjam district have been very seriously affected. “Restoration works are not possible in the two blocks of Aska and Purusottampur which are marooned by flash floods in Rushikulya river system and uprooted trees blocking all major roads,” said a senior officer of Southern Electricity Supply Company (Southco). The officer could not provide details of damage in other affected districts under the area operation of Southco. However, reports reaching from Rayagada and Kandhamal said power supply has not been restored to large pockets of rural areas due to communication problems. The cyclone has not spared power supply system in coastal districts of Puri, Cuttack, Khurda, Nayagarh, Jagatsingpur and Kendrapara either. Damage to distribution transformers and snapping of power supply lines have been reported from many areas of these districts, Puri being the worst hit. Around 14 distribution transformers in Puri district, 16 in Khurda district, 8 in Jagatsingpur district, 5 in Cuttack district are beyond repair and need replacement, sources in the Central Electricity Supply Utility (CESU) said. Estimating the damage at around Rs 6 crore, the utility has mobilised manpower and materials for restoration works, the sources said. Power supply to many areas of Astarang, Brahmagiri, Kakatpur and Nimapara would require another 48 hours due to waterlogging problems. Bhubaneswar: The State Government on Friday sent a special team of fire service personnel armed with modern equipment for carrying out rescue operations in Aska and Berhampur of Ganjam district in the aftermath of very severe cyclone Titli. They left for Aska and Berhampur from the OFDRA here. “About 36 fire personnel were deployed at Aska Fire Station for carrying out rescue operations,” a fire officer said. The fire service personnel were earlier engaged in clearing of uprooted trees from Gopalpur Road to Rangeilunda airstrip and Mandiapalli. Besides, they cleared the uprooted trees from Chikarada-Sasanapadar road, Chhatrapur and Berhampur.